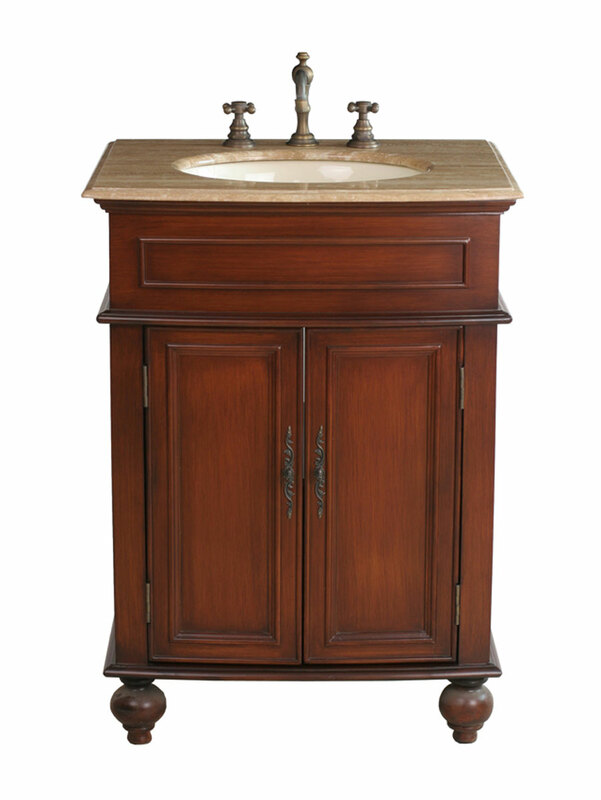 Adding the Prince Single Bath Vanity to your bathroom gives it a classic, yet stylish look that will prove to be timeless. 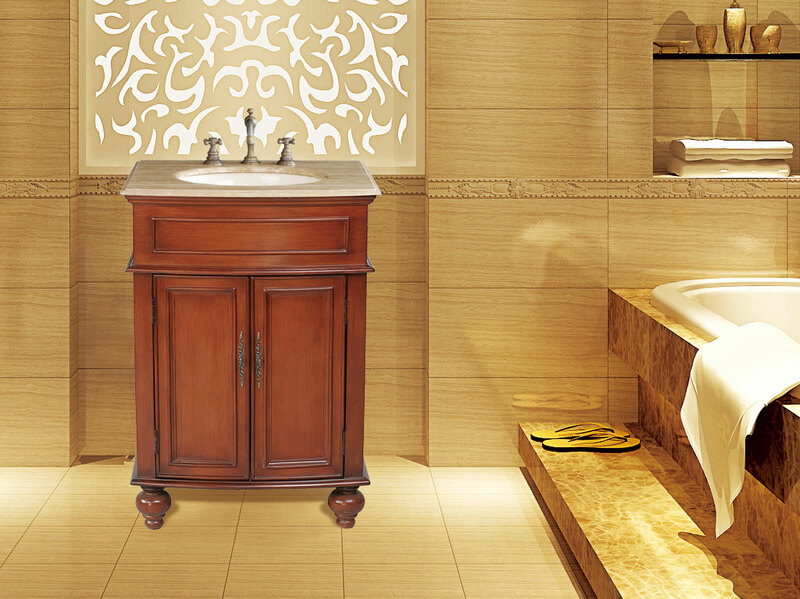 Its simple, yet elegant looks will add to the aesthetic appeal of any bathroom - guest or master bathroom alike! 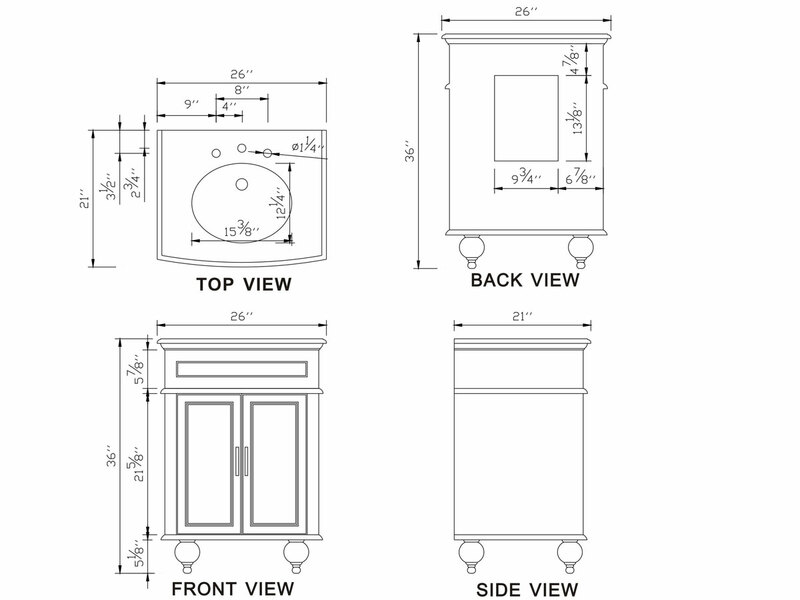 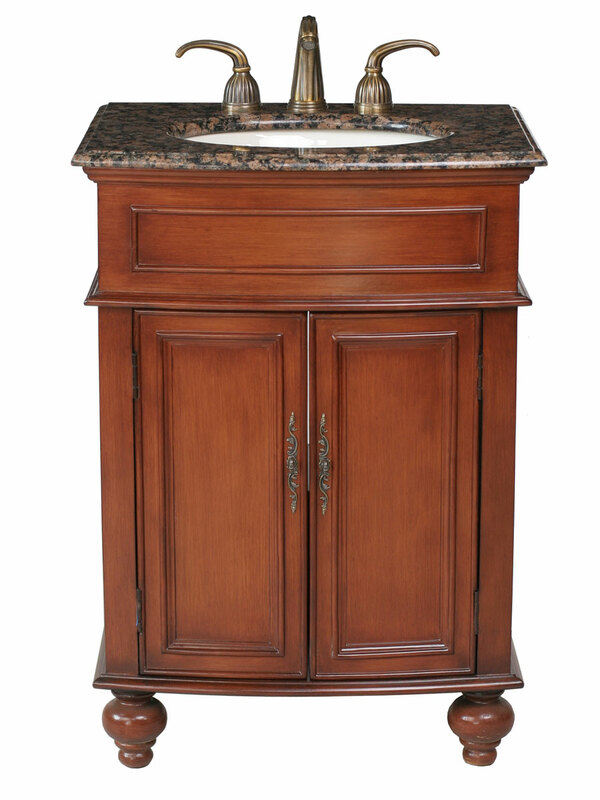 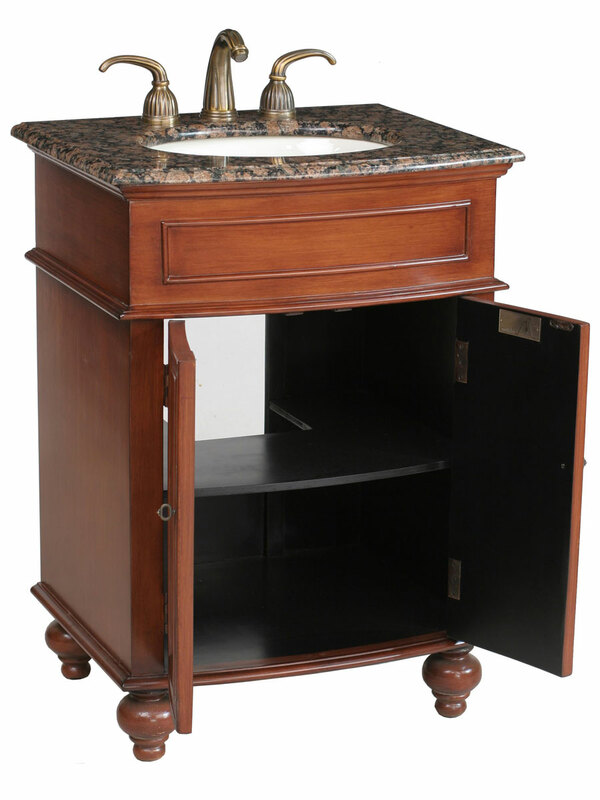 Its cherry finish softly accentuates the wood of the cabinet, while complementing the stunning granite counter top. 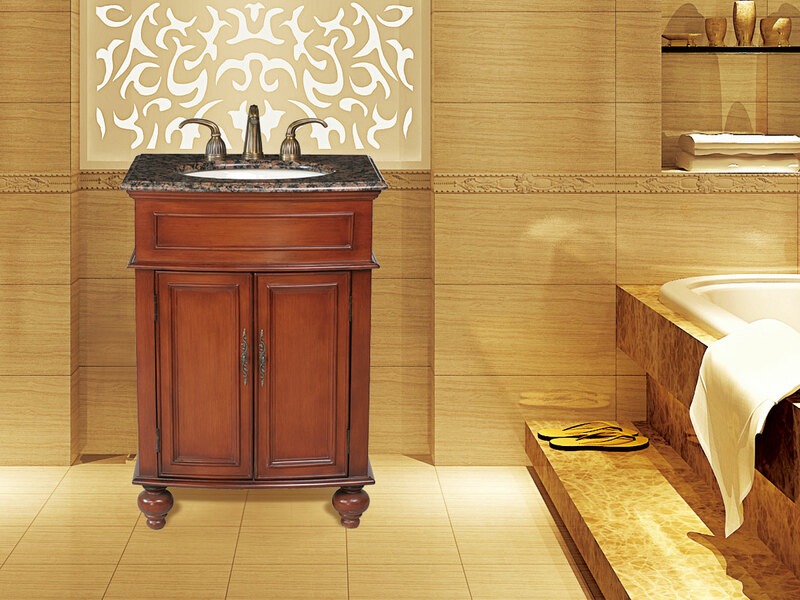 Choose from a Baltic Brown or Travertine for your granite counter top! 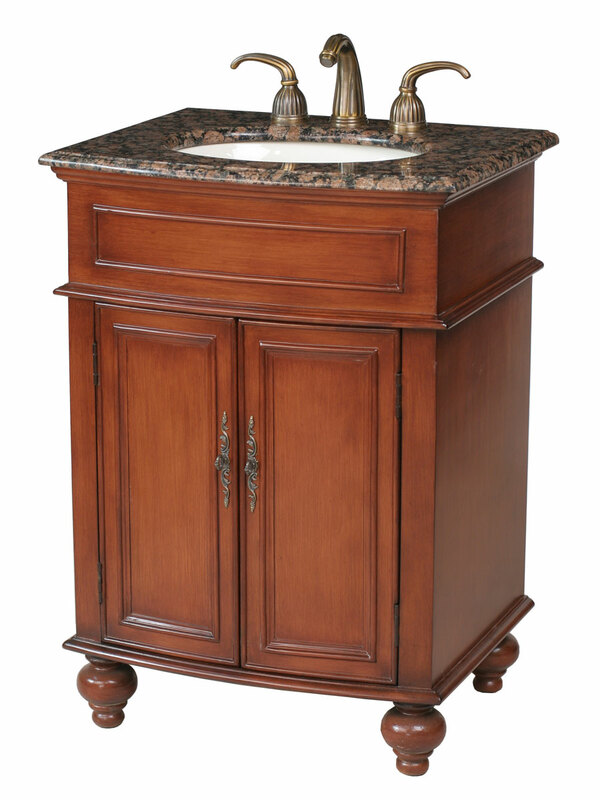 The 2-door cabinet features handles that add to its classic look, while the hand-carved legs give it the finishing touch for an elegant small bath vanity.